Nancy Skubinna teaches Physical Education at Donley Elementary. Like all teachers, Nancy works with her building administrator to comply with Michigan’s educator evaluation law. In previous years, Nancy has submitted supporting evidence, such as lesson plans and student resources, to her principal in hard copy. Nancy set a personal goal to migrate her evaluation content online this year. 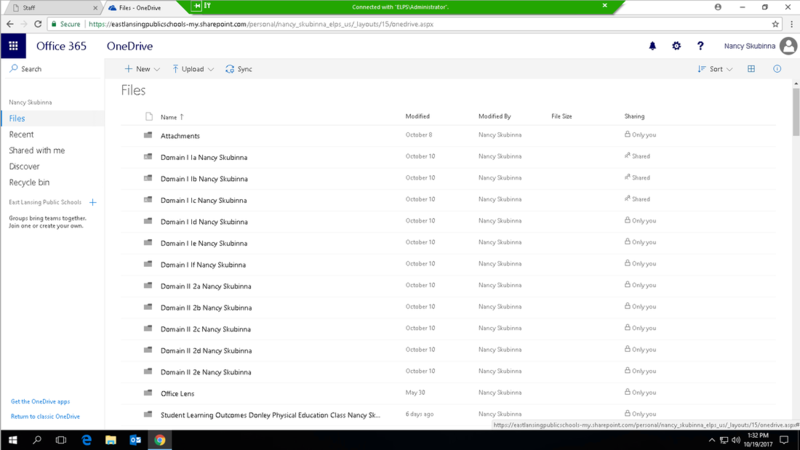 She envisioned supporting evidence for each domain of Charlotte Danielson’s Framework for Teaching within its own folder in OneDrive that she could build upon and add to as the school year progressed. It has also been her personal goal for the last two years to improve her ability to use technology both in communications with other ELPS staff as well as use it proficiently in her instruction with her students. To meet these goals, Nancy regularly meets with Technology & Media Services in half hour increments to work on her technology goals for the school year. She emails to schedule meetings that usually take place on her prep over remote desktop. This allows her to navigate her own PC while she receives guidance. During these meetings, Nancy has learned how to navigate OneDrive, upload and create content within OneDrive and ultimately how to share her content with her building administrator when the time comes. For Nancy, working one-on-one with Technology & Media Services is the best fit for her. When she attends large group sessions, she attempts to keep up but is often overwhelmed with the pace of the instruction and too intimidated to ask for help because everyone else in the room appears to be “miles ahead of her” in their understanding of technology. She says working individually with Technology & Media Services is a comfortable format that helps her feel more confident in her ability to keep current in her job. She also gets to work toward her own personal goals rather than a predetermined topic. 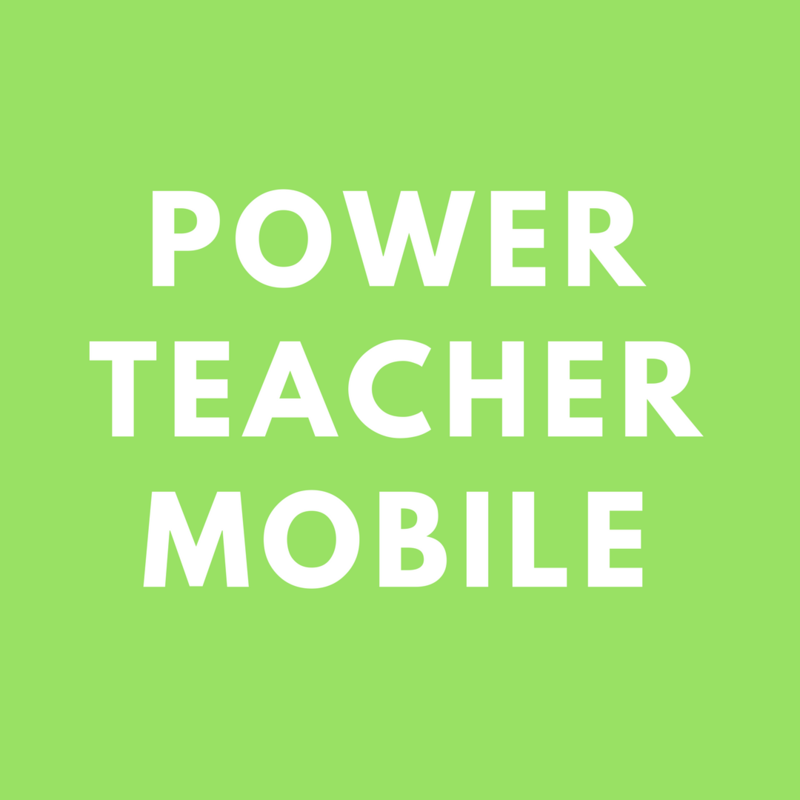 Any teacher can schedule technology professional development before school, after school and/or on their prep and have it count toward voluntary district provided PD hours. Professional development that is being counted as instructional time as allowed by Michigan Compiled Law (MCL) Section 388.1701 Section 101(10), may only occur when students are not already receiving instruction. You may use the attached list of technology related activities as you assess your technology needs. This list is meant to act as a guide, not a requirement. 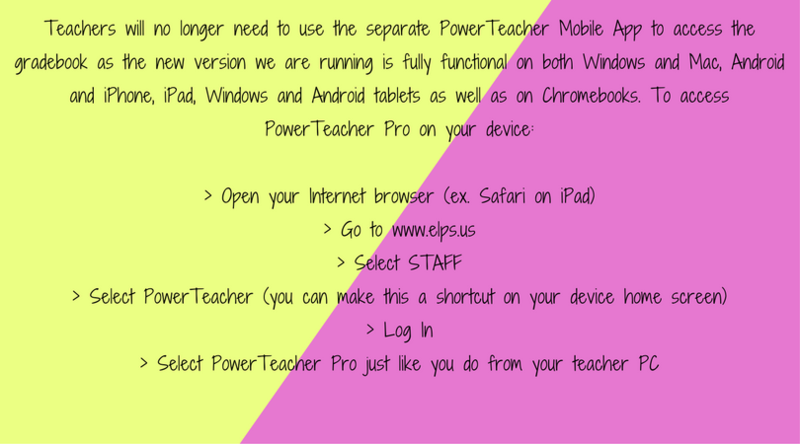 If you decide to begin a project of your own, you may request PD by going to www.elps.us > STAFF > Technology Work Request. In addition to support offered by ELPS, the Michigan Department of Education is currently offering a webinar series “Owning your Evaluation Process” designed to help teachers embrace their professional growth and evaluation processes. SCECH credits are available to teachers that complete 3 or more of the 6 webinars from the series. For more information, you may contact Joe Priest at priestj4@michigan.gov or visit the Michigan Department of Education’s Office of Educator Talent online. Webinar 1: Link to Recorded Webinar – this session will investigate the key components of the continuous improvement model for teacher professional growth including self-evaluation and goal-setting. iOS 11, released on September 19, introduces major design changes, new app features, and a complete interface overhaul for the iPad. You can store over 13 apps on your iPad dock & view recently used apps, run apps side by side like in iOS 10 and now float apps on top of each other to hover in their own window. The Control Center can be fully customized (hold features down to access more options). There is a new cloud file storage system for an easier way to see files and move them around. You can now drag & drop content, such as photos, between two applications and more. iOS 11 is available for the iPhone 5s and later, the iPad mini 2 and later, the iPad Air and later, all iPad Pro models, and the sixth-generation iPod touch. Endorsed by tens of thousands of satisfied parents, teachers, and kids the world over. Little Writer is a tracing app that's done just right. Little Writer is super fun and so easy to use that your kids will think letter tracing is a game. ABC uppercase letters, abc lowercase letters, numbers 1 to 10, 20 basic shapes including lines, circles, rectangles and more. Dozens of 3 and 4 letter words to make practice more enjoyable and interesting. Ability to add an unlimited number of your own words and pictures for maximum enjoyment and variety. The 2017-2018 Guide to State Assessments is now available. This Guide includes information on changes to the assessments, test session timing, resources for online and paper/pencil tests (Note: The resources for online testers for the Spring 2018 M-Step assessments are being finalized. Refer to future Spotlight editions to find out when the final 2018 versions are available), technology information, the Summative Testing Schedule for both online and paper/pencil tests (when applicable) for Michigan’s statewide assessments – M-STEP, MI-Access, MME, WIDA, and Early Literacy and Mathematics. MacDonald has a new library orientation for this year. Students will complete a scavenger hunt using the QR Reader App on the iPads AND will need a writing utensil and attached chart to mark off clues. With a single student, it is estimated to take about 15 minutes. It will probably be closer to the full class period with a whole class leaving time to distribute and recollect the iPads. 3. Schedule both the library space AND the iPads on the MMS Computer Schedule using this link. Please contact Christa Robinson if you have any questions. We decided to cross-reference this in two ways. First, we looked at the total number of full-text retrievals from the MeL databases. All 5 of these received over 1 million full-text retrievals for the 2017 fiscal year! As you can see, Opposing Viewpoints in Context, Britannica and Academic OneFile made both of these lists. Let's look at one other metric and that's the rate at which items were clicked on from MeL.org in the month of September of this year. This is the percentage of outbound traffic from MeL.org. Looking at this list, we can see that Chilton's and Learning Express, two resources rated highly in the survey, come back to the fore. However, by far and away the resource with the highest traffic at MeL.org is BookFlix, an early literacy resource. The Michigan Department of Education is currently offering a webinar series “Owning your Evaluation Process” designed to help teachers embrace their professional growth and evaluation processes. SCECH credits are available to teachers that complete 3 or more of the 6 webinars from the series. For more information, you may contact Joe Priest at priestj4@michigan.gov or visit the Michigan Department of Education’s Office of Educator Talent online.